Microsoft had an event today scheduled at IFA 2017, mostly focused on virtual reality etc. As these things relate Windows, they on the sidelines also announced the availability of next feature upgrade widely called Fall Creators update for users. Microsoft Chief Executive Terry Myreson announced 17th October as the date on which Fall Creators update would start rolling out. However, the Insiders on Fast, slow or perhaps Release preview ring would get them some more days before hopefully as they would try to fix as much bugs as they can. The update would still focus on increasing your creativity, as said. 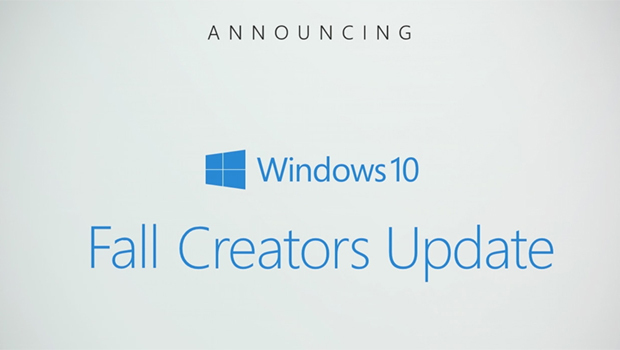 For those who don’t know, Microsoft announced at their annual developer conference Build 2017, about Fall Creators update. This brings out many new features to the OS, an extensive list of which you can get here. Some features however promised in the Build were also postponed for next future release as well. To get an early insight of complete features offered, you can join Windows Insider program on the fast ring. However, if you select release preview, you would get the rollout almost a week before global rollout starts. Next story What is next for Windows?